"We have tried sternly asking, 'What did you DO??' But he only looks away with a guilty look on his face." This might be the cutest crime drama ever. 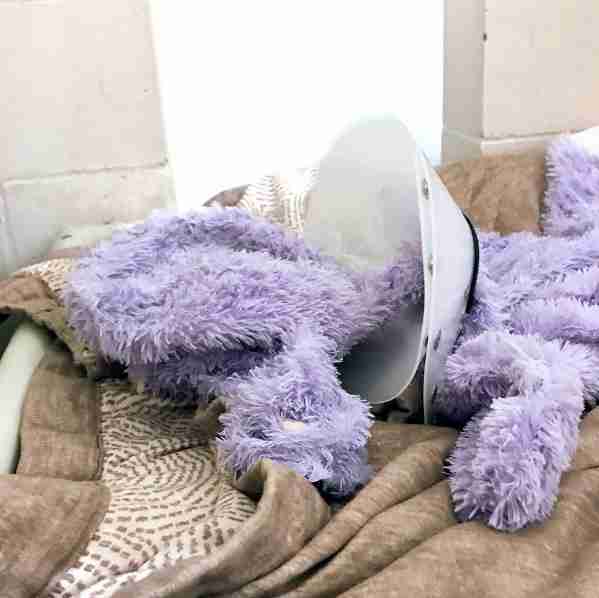 It all began this week after shelter staffers discovered Fuzzy Purple Hippo in the throes of a "medical emergency." Fortunately, she was found in time — and Hank soon emerged as likely culprit. 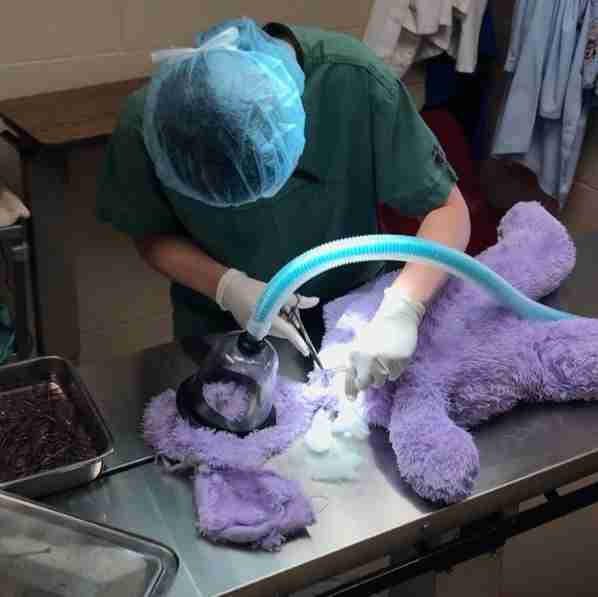 "Dr. Laura is currently performing life-saving surgery to repair the near-decapitation," the shelter wrote. 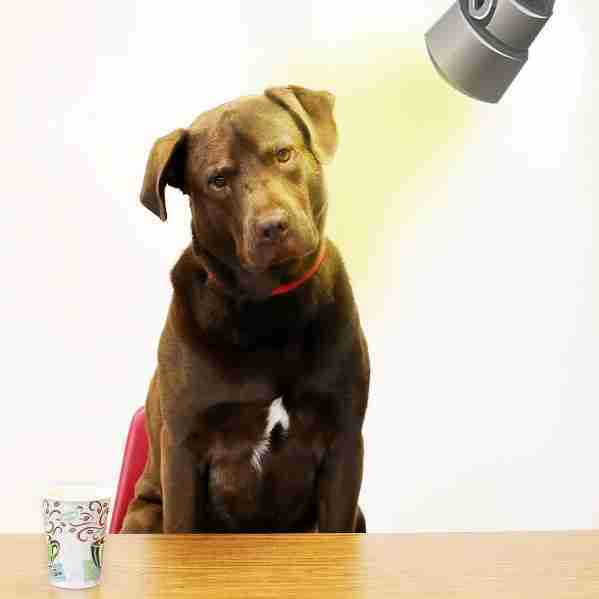 "Details of the incident which caused the injury are murky, as Hank is refusing to answer our questions. (Yes, we have tried sternly asking, 'What did you DO??' 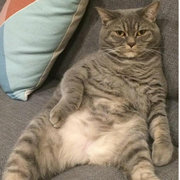 But he only looks away with a guilty look on his face.) Please keep the Fuzzy Purple Hippo in your thoughts." Fuzzy Purple Hippo made it out of surgery, but had lost quite a bit of stuffing. To prevent further damage, she was fitted with a cone of shame. "She is groggy from pain medication and her demeanor seems a bit flat, but we are hopeful for a full recovery," reads an update from the shelter. After that, an investigation began. The heat was on Hank. 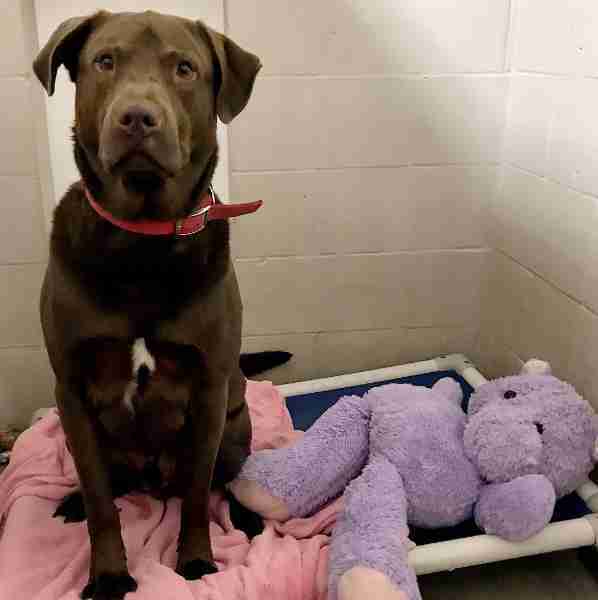 "Since yesterday's casual questioning brought no results, Hank was brought in for a formal interrogation into the assault of his companion, the Fuzzy Purple Hippo," the shelter wrote. "As of 11:00am Hank's jowls remain firmly closed regarding the incident." Fuzzy Purple Hippo was interviewed, too. "Hank met with his Humane Officer-appointed Attorney this morning to discuss the allegations of Hippossault," the shelter wrote. 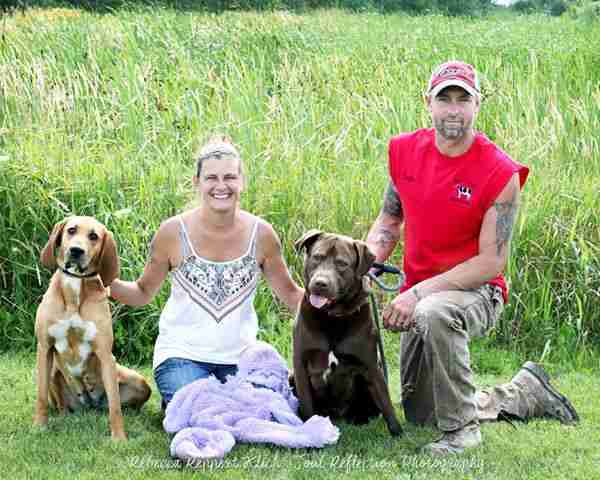 "Although no formal charges have been filed, there are no other suspects at this time. His attorney has advised him to plead the 5th." 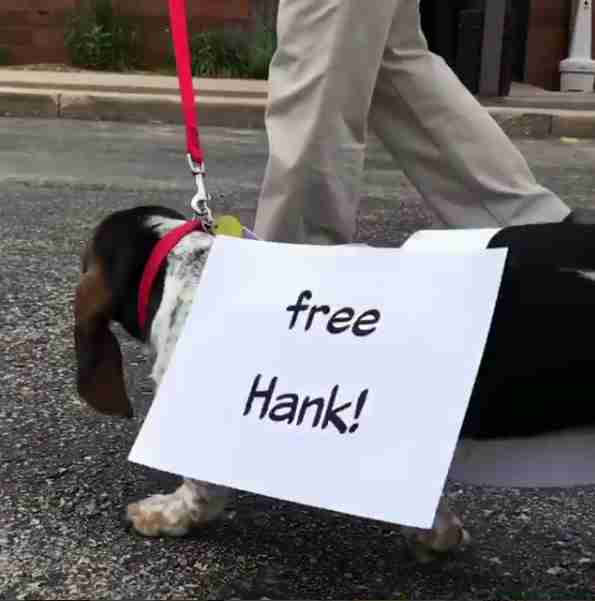 As pressure mounted on Hank, protesters turned out to show their support. 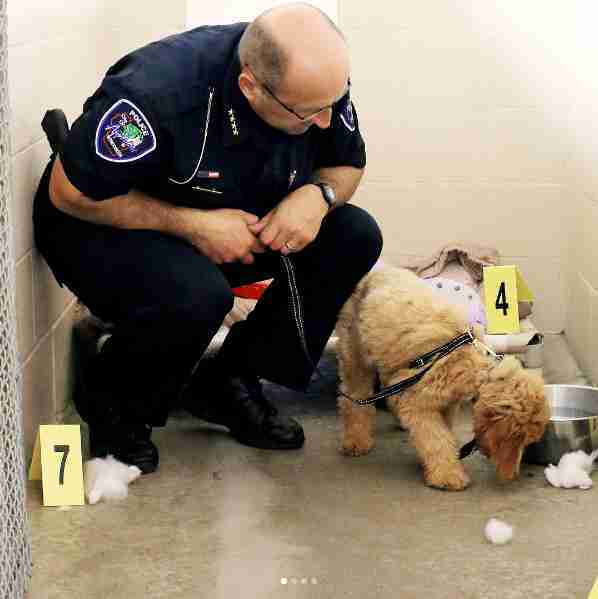 Chief Thomas, of the Appleton Police Department, was brought on board to investigate. 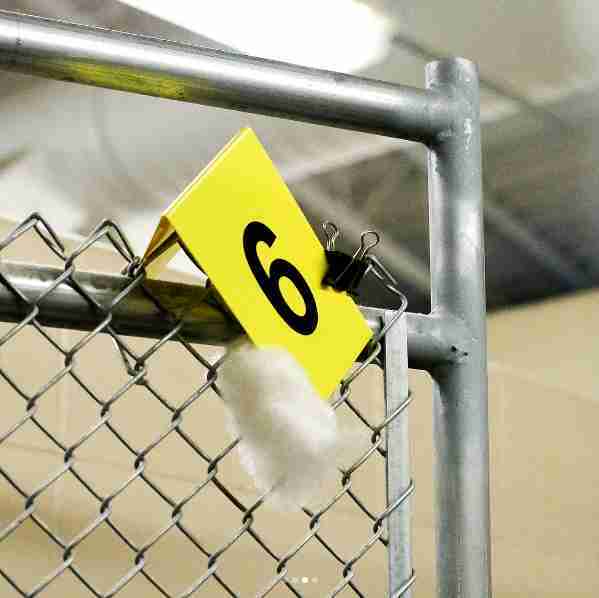 Along with Blue, a police puppy in training, they scoured the crime scene for clues. A tuft of stuffing found high atop the kennel Fuzzy Purple Hippo shared with Hank proved to be a vital piece of evidence. In fact, it cracked the case wide open. After careful review, investigators concluded that the stuffed animal wasn't attacked at all. 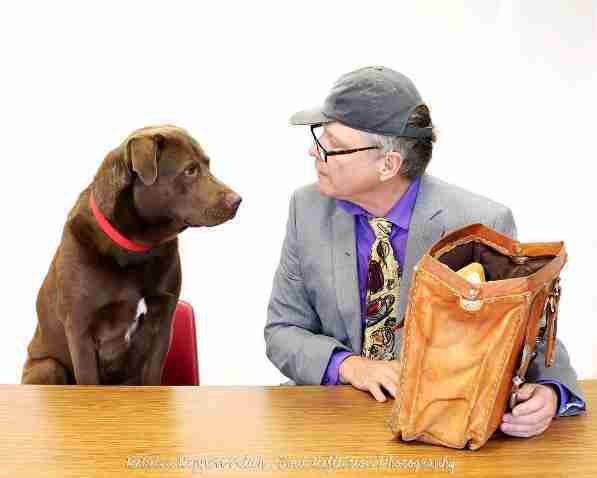 They believe that she had been attempting to climb over the kennel to unlock it after closing time so that she and Hank could sneak some treats. In the process, Fuzzy Purple Hippo had gotten snagged on the door while Hank looked on in horror. "His heart wrenching howl could be heard throughout the shelter as she struggled to free herself but could not. Hank slid his bed to the door, made a mountain of his blankets, and climbed atop it all until he could stretch high enough to rescue his damsel in distress," the shelter surmised. "Hank cared for his princess throughout the night until the staff arrived and Dr. Laura could perform the life-saving surgery that she needed." Hank had been exonerated — and actually hailed a hero. If you enjoyed this shelter's approach to finding Hank a home, and would like to support their efforts, considering making a donation to the Fox Valley Humane Association.